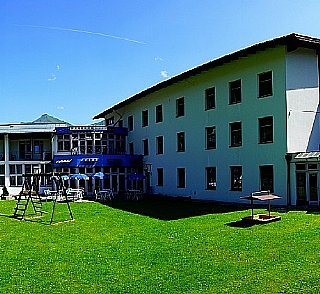 Junges Hotel Bad Gastein is open from December to early April und von mid-May to early October. The reception is open daily from 08:00 to 11:00 and from 16:00 to 21:00. Junges Hotel Bad Gastein is located near the center of Bad Gastein. Take the exit to Bischofshofen on the A10 motorway („Tauernautobahn“) from Salzburg in the direction of Villach. Follow the roads towards Zell am See. Turn left towards “Gasteinertal” after 25 kilometres. In Bad Gastein, follow the signs for the „Böckstein-Autoverladung“. On the outskirts of Bad Gastein, you will reach a railway underpass after 400 metres. Take the second road on your right after the underpass. The driving time from the A10 motorway to our hostel is approx. 30 minutes. we can be reached on the Tauern line from Salzburg to Klagenfurt. Bad Gastein has its own train station at which EC and IC trains stop. Salzburg Airport is about an hour’s drive from Bad Gastein. We will gladly organise a transfer for you.